Functioning Insanity Reviews: Bruja: An Alpha Girls Novel with a new POV to fall for! Bruja: An Alpha Girls Novel with a new POV to fall for! Hello happy readers! Today is a wonderful day in the book world. End of Days by Susan Ee is now officially out. If you haven't entered my giveaway yet, I suggest you head on over for a chance to win a free paperback and some awesome temporary tattoos. That's not all. Today many more books came out, two of which I'm beyond excited about. Both are forth books in their respective series, Maxon by Christina Bauer and the one I'll be discussing today, Bruja by Aileen Erin. I received and ARC from the publisher, Ink Monster, and NetGalley for my thoughts. Mostly just advance copies because they’ve been pre-ordered on my Amazon account since October 2014. 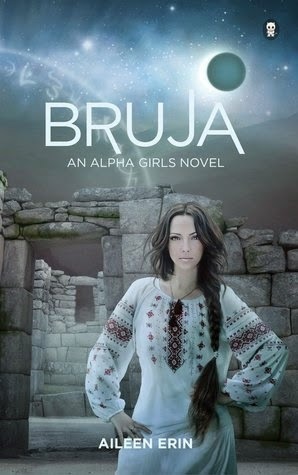 Jumping right in, Bruja is the fourth book in the Alpha Girl series, my review of the previous book Alpha Divided can be seen here. As such there are spoilers for the first three books ahead, it’s unavoidable, so be warned. If you haven’t read these books yet, what is wrong with you? You should totally go right now and marathon these books. Just saying I adore them! Now if you are caught up, or like to be spoiled, let’s discuss Bruja. We pick up pretty much where Alpha Divided left off. Unlike the previous books we don’t follow Tessa’s POV, but instead her cousin Claudia De Santos. She did some not so good things previously with the best of intentions and now she has some making up to do for herself and others. Her old cover has splintered between those still with Luciana and her dark magic ways and the few like herself who have chosen to fight with the wolves. War is coming either way but the wolves need help to counter Luciana’s dark magic. The best theory thus far lies in ancient magic. Magic Claudia must go on a journey to find what has been lost for ages. She must travel to Peru and search for what the Inca mages left behind. 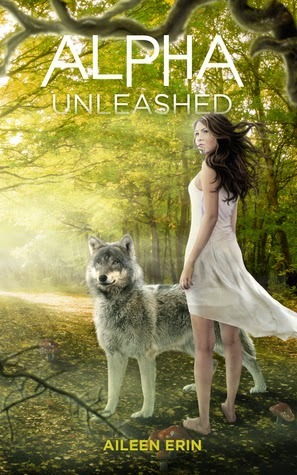 Of course she’ll need a guide there to help her and keep her safe, Lucas, a wolf who gets under her skin. Top it all off with your former arranged fiancé to be us still lingering around wanting what he was promised and you have a whole lot of interesting and amazing story. So I admit not being in Tessa’s head was a bit weird for me at first. Seeing how someone outside the wolf community sees and interprets Tessa and Dastien together was interesting. Claudia has a lot going on both around her and inside. She is torn up with the feels for her past decisions and all that hangs on her in the future. She has a lot to process. She’s only ever known coven life and now she’s thrust into a new world. I liked being there for the ride. The way she reacted to things around her, the wolves, the bond between mates, and her own feelings of jealousy and such about that. I liked her moments of weakness and uncertainty, but even more I liked that she mostly made rational decisions based on thinking things out. That’s hard to find sometimes with the right emotional connection. Let’s not neglect to mention the new wolf in the story, a whole pack really, but one in particular. Lucas. He and Claudia have a connection of sorts from the start and it’s so cute the way they play off one another. He is sweet and gentle with her not pushing her to talk more than she is willing. 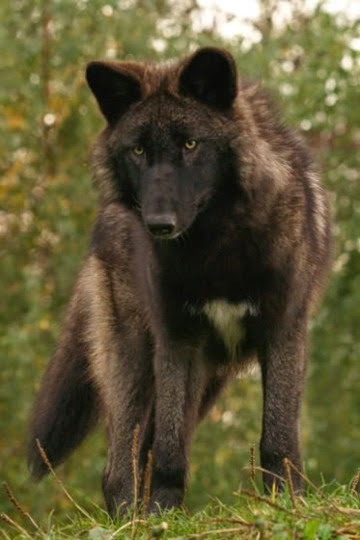 It seems to be a trait of many wolves. Where can I find one? Even with everything going on and staying focused on task, romance and attraction can still find you when you least expect it. I liked the journey the story takes you on. We are sent to a new country to follow Claudia as she searches for a way to save so many. She has a lot on her plate but she is also traveling for the first time and seeing a new location, somewhere exotic like Peru, through the eyes of someone like that makes me want to pack my bags and book a trip. Especially if there will be a pack of hunky wolves there to protect and guide me. Just saying HUGE perk. With the quest, the adventure, the peril, the action, I got a total Indiana Jones vibe going from this. I don’t want to give away too much and ruin the story. In case it's unclear I give Bruja, like the other books in the series, 5 Stars! I implore you all to check out this series if you haven't done so already. I am stoked for the next installment and want it to be October so I can have it. Ink Monster has also released the cover to the next book for us to salivate over. Check it out, Alpha Unleashed. So again Bruja and Maxon came out today May 12th and are available now, I'll have my full Maxon review up soon. As always share your thoughts in the comments. What did you think of seeing the story through a new POV? What was your favorite part of the quest? 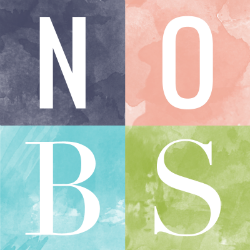 Click follow and stay tuned for more fun reviews, giveaways, and the like. End of Days is Almost Here! Giveaway!